Waterproof shade sails could be the answer to your problem of not being able to use your outdoor areas when it's raining. A great way to combat the elements is by constructing shade sails - waterproof ones that will keep you dry. 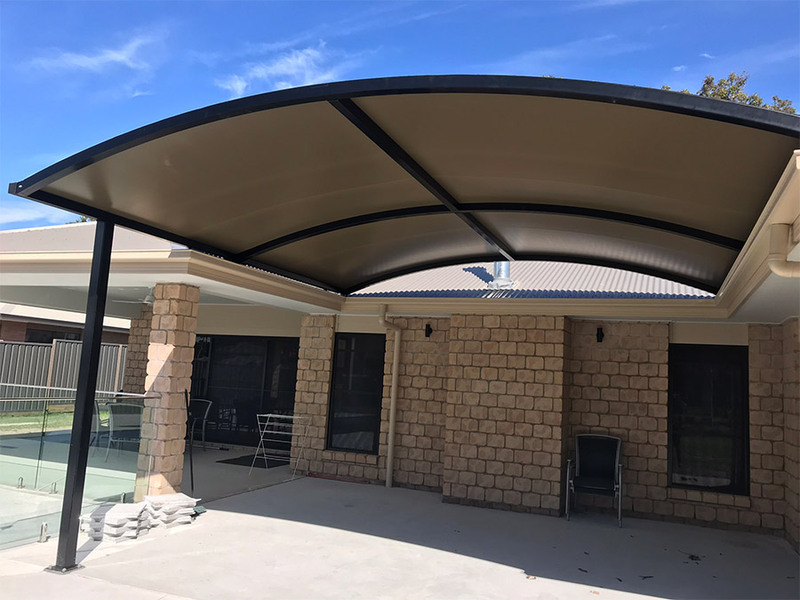 "Waterproof shade structures (sometimes called 'rolled structures') give the same kind of protection of a solid roof however they give you much more freedom with your design ideas." A real 'rolled or curved structure' is a structure made from rolled metal beams that has shade cloth material stretched over the top. The shade sail doesn't even have to be waterproof. 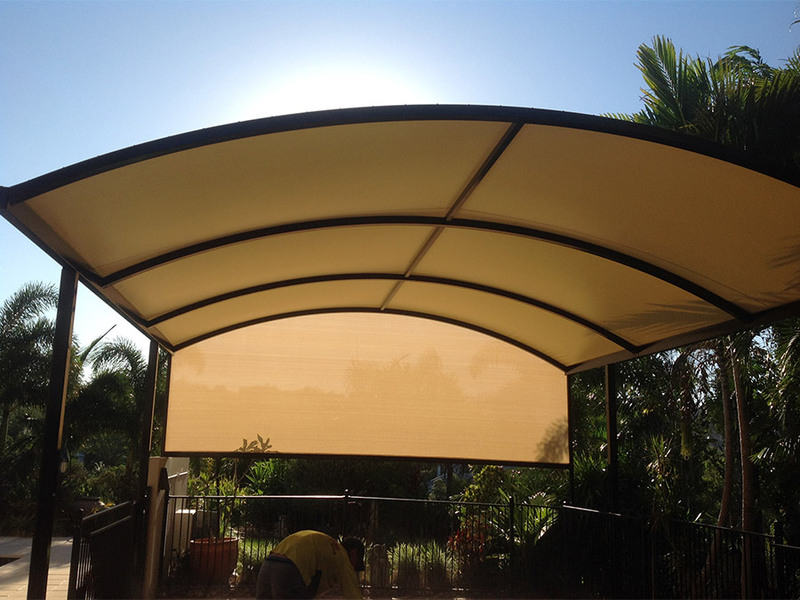 Waterproof shade sails can be a waterproof shade cloth which is shade cloth with a membrane on the under side, architectural vinyl, or poly tarp products (membrane sails). 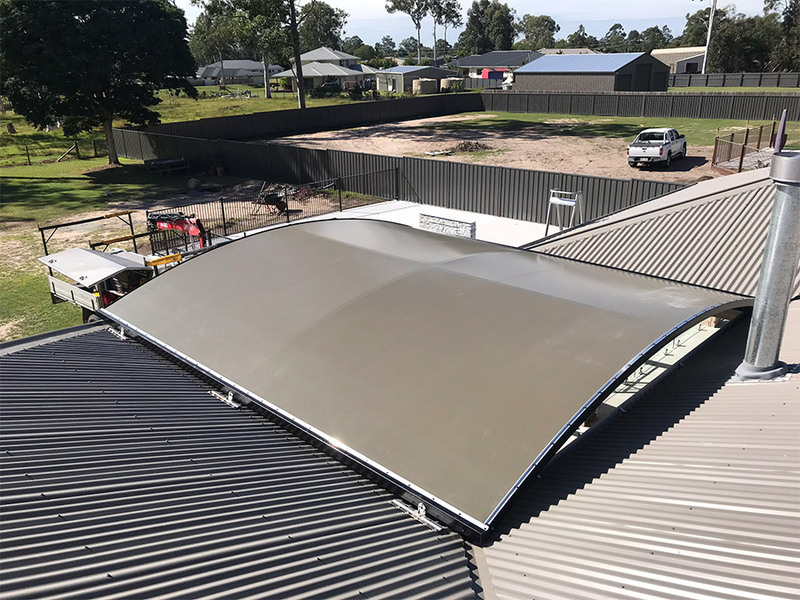 The first step of the construction process is to use heavy gauge galvanised steel which gives your waterproof shade sail structure amazing strength. We will then secure your structure to ground or building as per qualified engineer approved specifications. After we're happy that your new shade structure is as tough as it can be we'll then tightly stretch premium quality Architectural Vinyl over the top. Your waterproof shade sails will look absolutely fantastic! With approximately 50 colours of architectural vinyl and powder coat for the posts available, you're sure to love how well they will match your your house or business premise. Shade sails (waterproof ones) are not as expensive as you might think! The gallery below features many great examples of rolled roof structures that we have implemented. Don't delay and get one for yourself today!